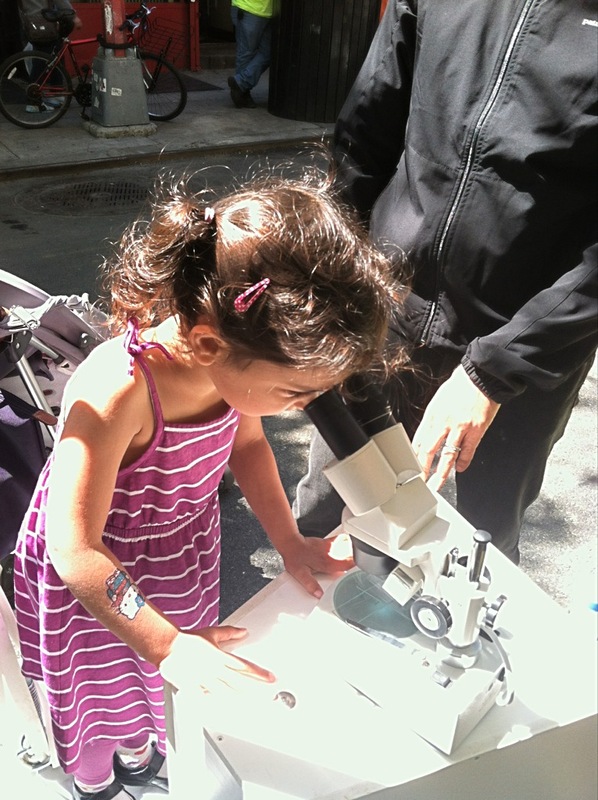 On Saturday I joined The Uni Project at the Ideas City Festival in downtown Manhattan to present my research on urban ants and science education. The Uni is a project designed to provide a place of learning beyond the walls of schools and libraries and into public space. They achieve this by creating a portable educational environment that can be dropped into almost any available street-level location. This space allows children of all ages an opportunity to gather around books and learning experiences, right in the heart of neighborhoods all across New York City. The “Ant Cube” I created with Uni founder Leslie Davol is designed to give visitors the chance to experience hands-on science through ants. 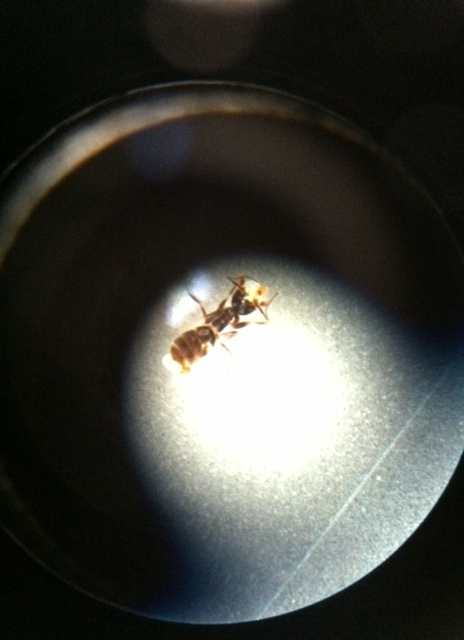 We’ve set-up a microscope where people can observe a live ant and even use an urban ant key to try to identify it. We also have sampling materials so students can collect their own ants.